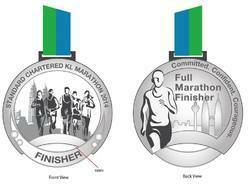 Manufacturer of a wide range of products which include medals for marathon and die punched medal. 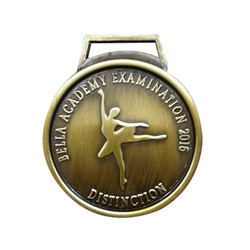 Our organization is counted among the most reliable firms offering Medallions. This range of products encompasses Sports Medal, Die Punched Medal, Fancy Matiz Medal, Numeric Medal and several more. These quality-approved products are highly demanded by the customers for highlighting features such as scratch resistance, finely polished, attractive design and longer service life. All our products are made under the supervision of our experts according to the clients demands.